JACKSONVILLE, FL — In 1999 the former Naval Air Base Cecil Field was transferred over to the Jacksonville Aviation Authority (JAA), which also operates Jacksonville International Airport and two other relievers, Craig and Herlong Airports. Of the 17,000 acres deeded to the city, some 6,000 were transferred to JAA for the purpose of operating the third GA reliever in the system — an airfield with three 8,000-foot runways and another that extends to 12,500 feet. Officially opened as a GA facility in 1999, Cecil Field has since leased out all available hangars and facilities and is looking to expand, including its recent certification by the Federal Aviation Administration as an official Spaceport. Comments senior director Bob Simpson, A.A.E., who oversees the airport's operations, "The good news is every hangar, every building I have is leased out. The bad news is everything I have is leased out. We're in the building mode now." The Navy initially turned over eight hangars to JAA, which subsequently built another four just to meet existing demand, relates Simpson. The airfield records some 76,000 operations annually, which continue to be dominated by government-related activities, including the Navy, Army, Coast Guard, and Customs and Border Protection, among others. Boeing occupies three hangars, and Flightstar Aircraft Services, Inc. operates a large MRO facility. The Florida State College at Jacksonville also has a major presence with an airframe & powerplant school that soon will include participation in a new paint facility built in cooperation with JAA and Flightstar. The primary challenge for Simpson and his staff today, he says, is making some 2,000 developable acres ready for new tenants. "What we're doing next is we're going to shoot a taxiway north and open up about 130-plus acres and make it site-ready," he explains. "We're going to put in a road that will connect it to 103rd Street, which is a major four-lane divided highway. We'll put in water/sewer/power. "That will provide us something to offer that has both airside and landside access. There aren't many wetlands, so we don't have a lot of wetland impact we have to deal with. The east side was never really used for anything but weapons storage, so it's relatively clean." Aviation services are provided by Jacksonville JetPort, the lone fixed base operator on the field. The new development follows FAA's recent approval of Cecil Field as a horizontal lift Spaceport, an initiative led by the state. Says Simpson, "We were approached by the State of Florida; they have a group called Space Florida, an authority created by the state legislature. Their job is to promote Florida as the Space Capital of the World. One of the sectors of business is commercial space travel. "They encouraged us to apply to the FAA for a commercial spaceport license, which we did three years ago. Last year, after going through an enormous amount of paperwork, due diligence, environmental, working closely with FAA on airspace, we were awarded a spaceport license. "The next step in that process is to find an operator that would like to use an airport that's licensed by FAA for commercial horizontal launch." Creating a cargo logistics hub that could complement related development around the airfield. The nearby Cecil Commerce Center has attracted various logistics centers to the region, and the city recently entered into an agreement with the Hillwood group, known for its development of the Alliance Airport complex north of Ft. Worth, TX. Comments Simpson, "Once Hillwood, with all its connections, takes off, I see a lot of warehouse distribution, light industrial coming to what used to be Navy property at Cecil. All ships will rise with the tide, as more development comes to the west side of Jacksonville and the Alliance Florida part right next door takes off." As an example of how JAA can partner with tenants, Simpson points to the recent paint hangar development put together with the college and Flightstar. Relates Simpson, "Flightstar came to us and said, we have a need; we're busting at the seams. We're doing maintenance work out on the apron. Working with the college, it was able to get a state grant under education, and they're going to increase their presence here through their MRO, airframe and powerplant mechanics school, and add an aircraft coating curriculum for painting aircraft. "We put in money and entered into a deal with Flightstar where we'd use state money and JAA money and they would lease the building from us in order to meet their need for expansion. And it will feature students working side by side with Flightstar employees at various points in their education process. Sort of an on the job training scenario." The Federal Aviation Administration has announced a new grant program designed to fund projects that develop and expand commercial space transportation infrastructure. The Space Transportation Infrastructure Matching Grants will be awarded to four separate projects located in Alaska, California, Florida, and New Mexico. FAA's Office of Commercial Space Transportation will administer the grants. The first matching grants include: $43,000 for the New Mexico Spaceport Authority; $227,195 to the Alaska Aerospace Corporation; $125,000 to the East Kern Airport District in Mojave, CA; and, $104,805 to the Jacksonville Airport Authority to develop a Spaceport Master Plan for Cecil Field. The Jacksonville Aviation Authority (JAA) recently unveiled a new branding campaign designed to build better awareness of the city's vibrant aviation system. The branding campaign includes a new overall logo for the authority, new logos for each of its four airports, the renaming of three of the airports, and new websites. 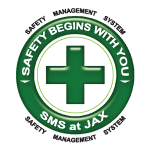 JAA was created in 2001 by the Florida Legislature and has been using the same brand identity since then. 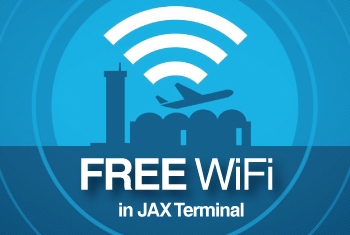 The goal is to create a consistent brand across the four airports owned and operated by the authority, which includes the Jacksonville International Airport. Three of the four airports will be renamed as a result of the rebranding effort. Cecil Field becomes Cecil Airport; Herlong Airport becomes Herlong Recreational Airport; and, Craig Airport is now Jacksonville Executive Airport. The new brand will focus on the tagline; "Going Beyond, Daily."